There's something about the rich aroma of our smoked bacon sizzling in a skillet that draws people to the kitchen faster than most anything else. 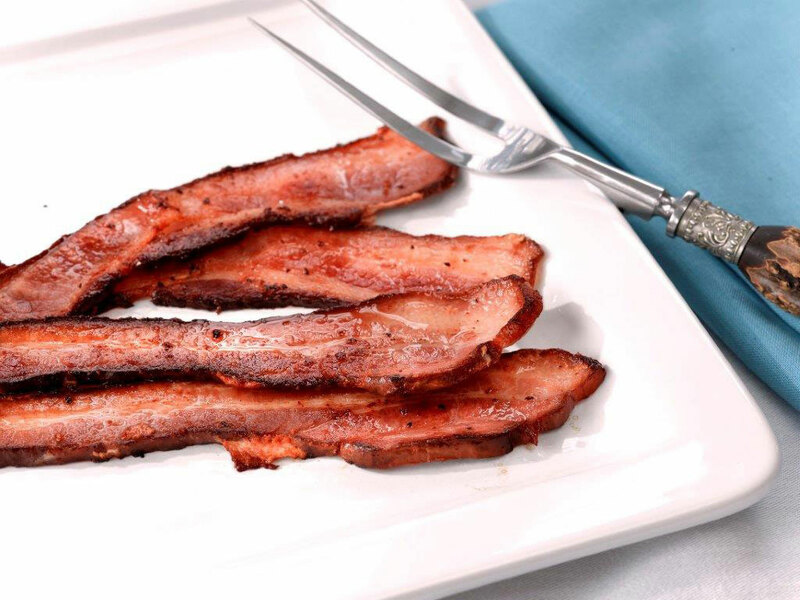 Our bacon has received national acclaim from the New York Times, Saveur Magazine, and the finest hotels around the country for its hand-crafted, meaty flavor and a natural wood smoked scent that signals its supreme quality. 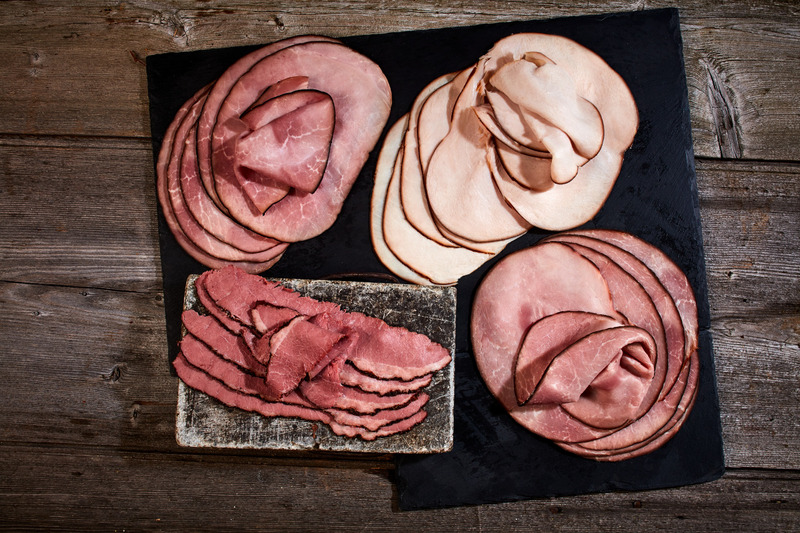 Our deli line is hand crafted using traditional European techniques that result in an exceptionally flavorful, well-balanced lunchmeat. Eager to meet the growing demand for ‘clean-label’ lunch alternatives, these lunchmeats contains no binders, fillers carrageenan, nitrites, nitrates, antibiotics, or added hormones. 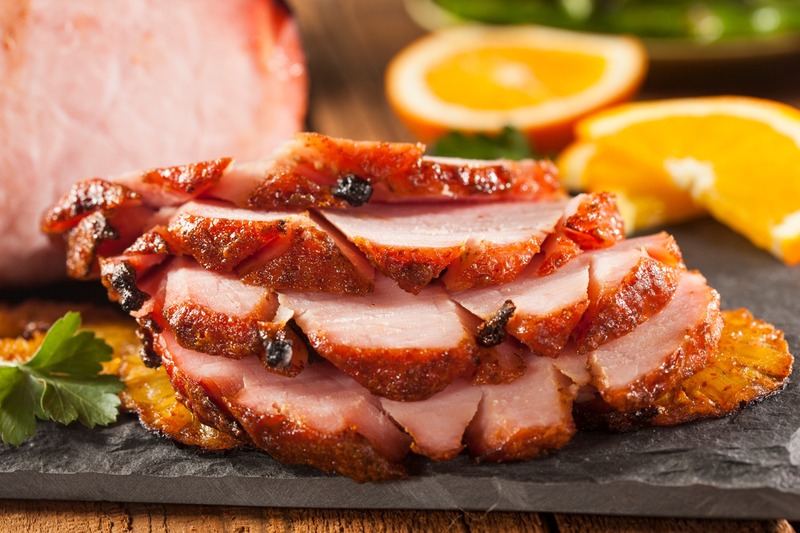 Maple cured, moist, and exceptionally flavorful, our lush hams and loins are reminiscent of old-style charcuterie that can only come from slow, deliberate preparation methods perfected to enhance flavor rather than mask it. All of our lean pork comes from the same family farm in nearby Montreal, where healthy, happy pigs are raised using only the best handling practices. 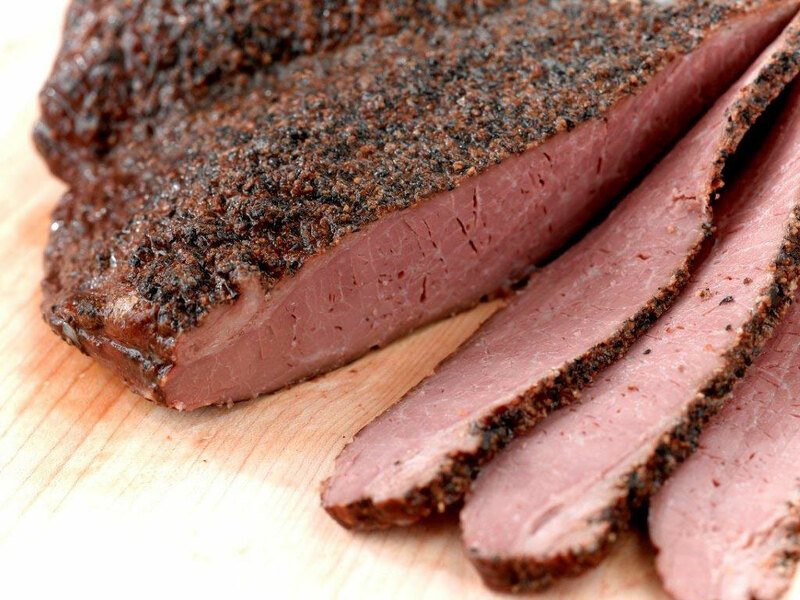 Choice cuts of brisket are hand-trimmed by our expert butchers, marinated in a brine of onion, garlic, and secret spices, then hickory smoked for ten hours to craft the melt-in-your-mouth brisket pastrami you might find on St. Catherine Street in Old Montreal. Our smoked poultry conjures up thoughts of warm, juicy slices plated at the table in a cozy home rich with the smells of supper cooking. Our plump, broad-breasted chicken and turkey is marinated in an old-fashioned brown sugar cure to enhance the meat’s natural sweetness, then slow-smoked to perfection in small batches over applewood embers. 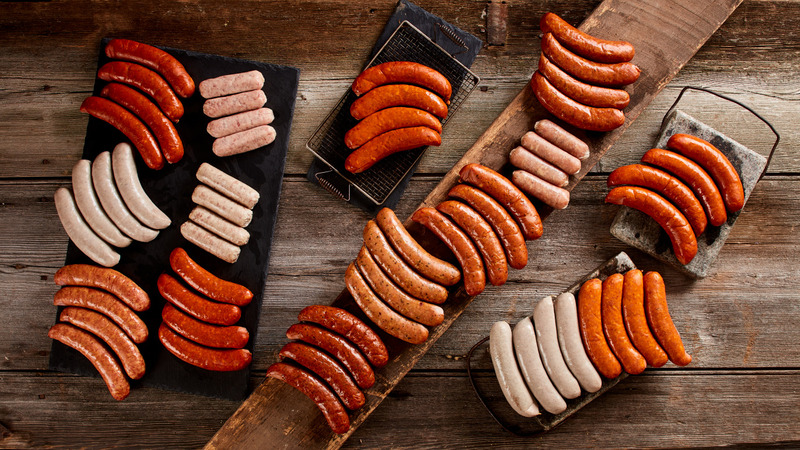 Part of what makes our hot dogs so special is that every ingredient is top quality, authentic, and chosen with care. Filled with coarsely ground, lean meats in unobtrusive, natural casings, each robust link is bursting with its own well-rounded palate of distinctive, natural seasonings. When you bathe a savory cut of meat in a cloak of real woodsmoke, its flavor becomes deeper and more distinct. The same holds true for cheese. 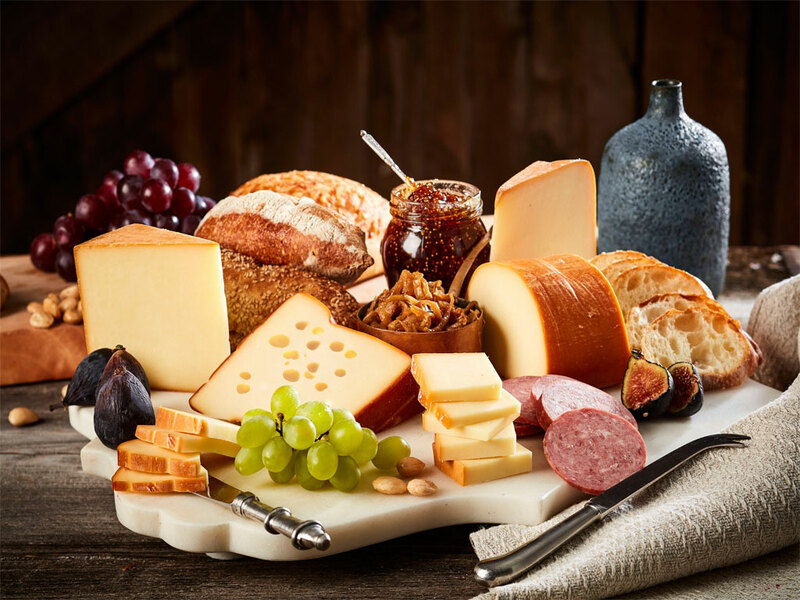 We select only the finest rounds from respected cheesemakers to cold smoke for up to five hours over applewood embers, infusing the outer layer with complex smoky notes that contrast the creaminess within. 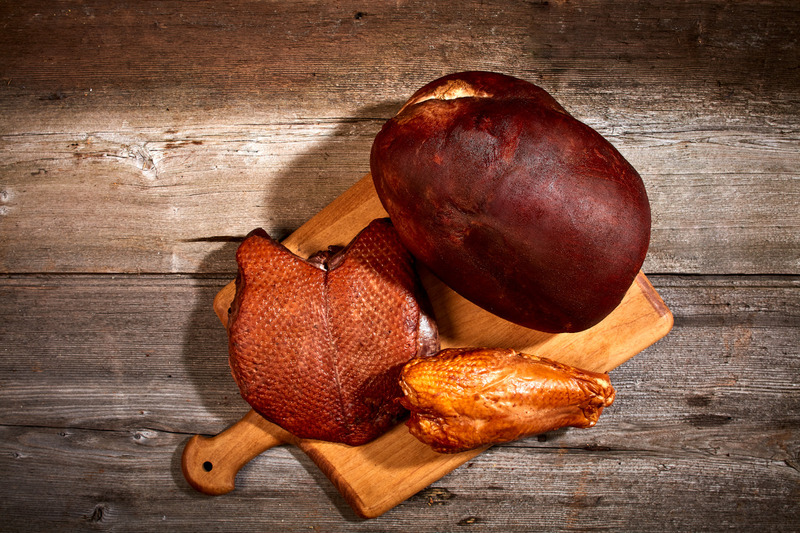 Pique the taste buds of your family and friends with a gift from North Country Smokehouse. 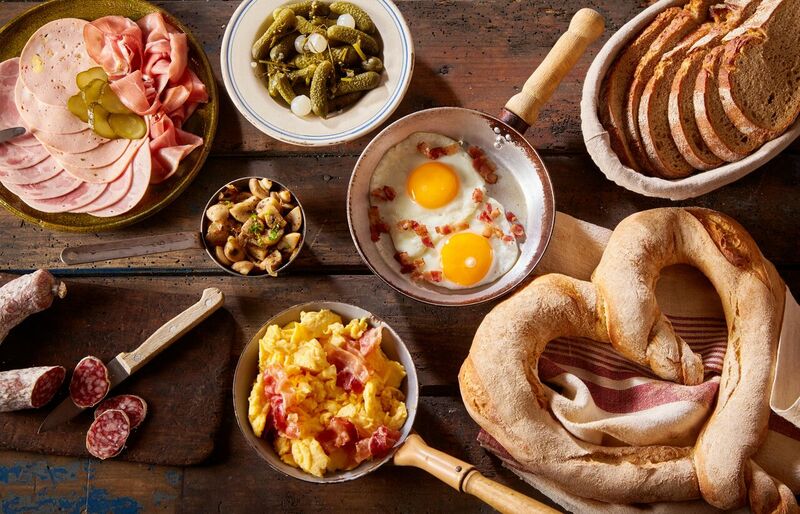 We’ve carefully selected some of our favorite foods and packaged them into special collections of our old-fashioned smoked meats, aged and smoked cheeses, and sweet maple syrup.